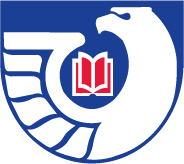 The Gallagher Law Library has been a selective depository for United States government publications since 1969. Our collection focuses on legal and law-related federal documents, including congressional materials, administrative regulations, administrative decisions, and presidential papers. Public access to government publications received through the Federal Depository Library Program (FDLP) is guaranteed by 44 U.S.C. § 1911. Government publications are integrated into the Library collection and are accessible through the online catalog. Print and electronic resources used to find specific congressional material such as bills, hearings, and committee reports are also available. Government publications may be in paper, microform, and/or available electronically. If you need assistance in locating and retrieving a government publication, regardless of format, please ask. You can speak to a Research Services librarian in the Reference Office, call 206-543-6794, or use our email Ask Us! service. Law Library hours, including Reference Office hours, are here. Titles located in the Classified Stacks, Compact Stacks, and microfiche cabinets may be checked out. Titles in the Reference Area are library use only. For information on how to register as a borrower and checking out books, please see Circulation Services.